NVISO is leading expert in image processing technologies that can detect and analyse human behavior. The technology they have developed is built on year sof research development and the latest AI and machine learning methods. 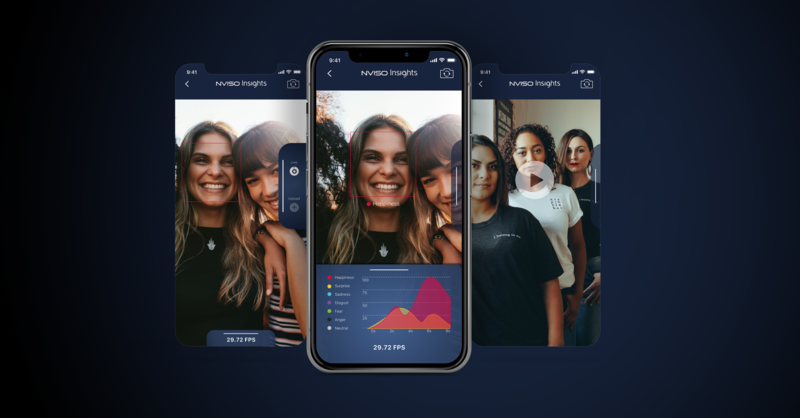 The challenge was to build a demonstration app that would highlight the cutting-edge nature of the core technology while offering simple and intuitive user-experience (UX). 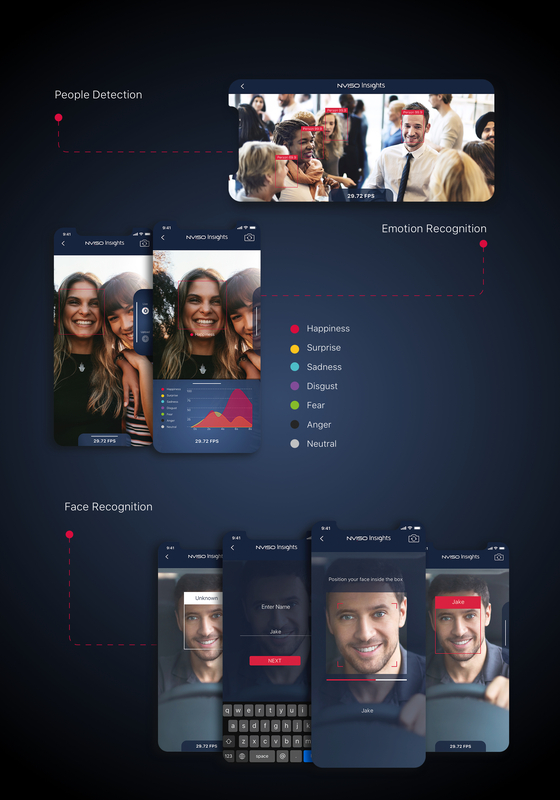 Design a simple user-interface that allows the user to discover all the functionalities of NVISO’s facial imaging SDK (face recognition, emotion recognition, demographic analysis, eye-gaze and head-pose tracking) while giving real-time feedback to demonstrate how the technology works. As the app was a show piece, it was imperative that it remained robust, fast and most importantly react to the user’s slightest jest.